With its stunning looks, Hero Honda Hunk from the Hero Honda Motors Ltd. (HHML) stable is an excellent bike in the 150cc segment. Hunk has a 149.2cc air-cooled OHC engine with a 5-speed gearbox. The engine specifications, power and torque are similar to those the CBZ Xtreme. 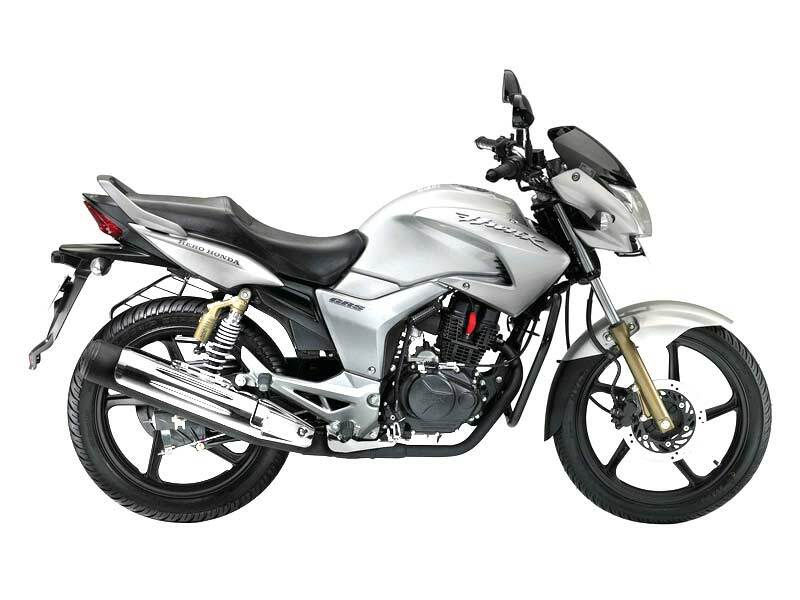 Hero Honda Hunk is equipped with AMI (Advanced Microprocessor Ignition) system, which varies the ignition timing based on engine speed and throttle position. This offers the rider a crisp throttle response, superior ride quality and the thrill of biking. Hunk is available in two variants - kick-start and self-start. The engine of this bike is similar to that of the CBZ Xtreme. But some features have been added to give more efficiency to the engine. The air-cooled four stroke engine of the Hunk is supercharged with 14.4Ps @ 8500rpm and has a torque of 12.80 Nm @ 6500 RPM. Hunk's 150cc engine has a conventional 5-speed gearbox. The engine produces tumble induction for efficiency. Hero Honda Hunk owns a small fairing. The tank shrouds are big and it has good knee recess. It adopts golden telescopic fork akin to some popular international bikes. The bike sports a contemporary black theme - the handlebar weight, alloy wheels, silencer guard and the grab rail are painted black. Front suspension is through telescopic fork and the rear suspension is a 5-step adjustable gas charged one. Fuel gauge, speedometer and rpm meter are analogue. However contemporary pilot lamps and LED tail lamps fail to find a place in the new Hunk. The engine of the Hunk stays cool even if the bike is ridden for a considerable length of time. The bike is also good in terms of speed handling. The riding position of the Hunk is good with raised handlebars and neatly placed foot pegs. The innovative gas-charged rear suspension gives a fantastic ride comfort as well. Additionally, the cushioned seats of Hunk model are extremely comfortable for long distance ride. The front seat is separated by a step from the pillion seat, making pillion riding comfortable. 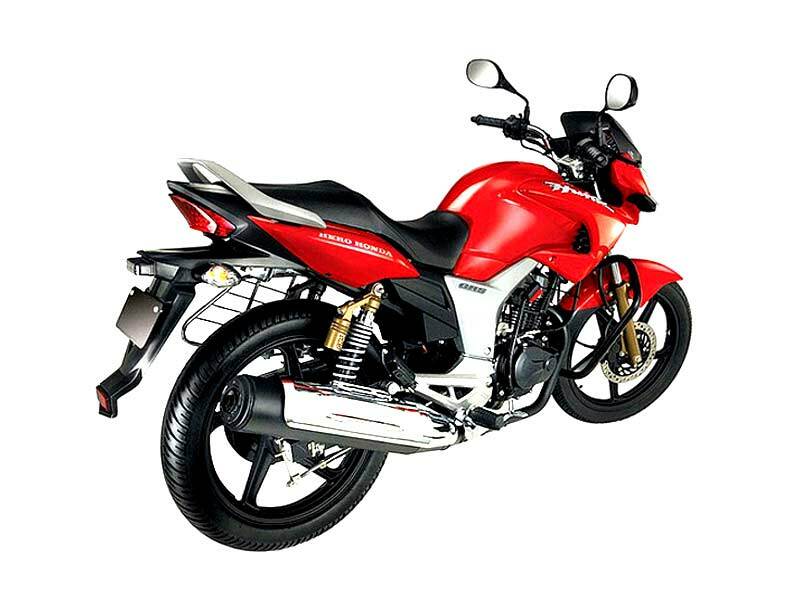 A stylish and classy model when on the road, Hero Honda Hunk 150cc gives a decent mileage of 45-50 kmpl. 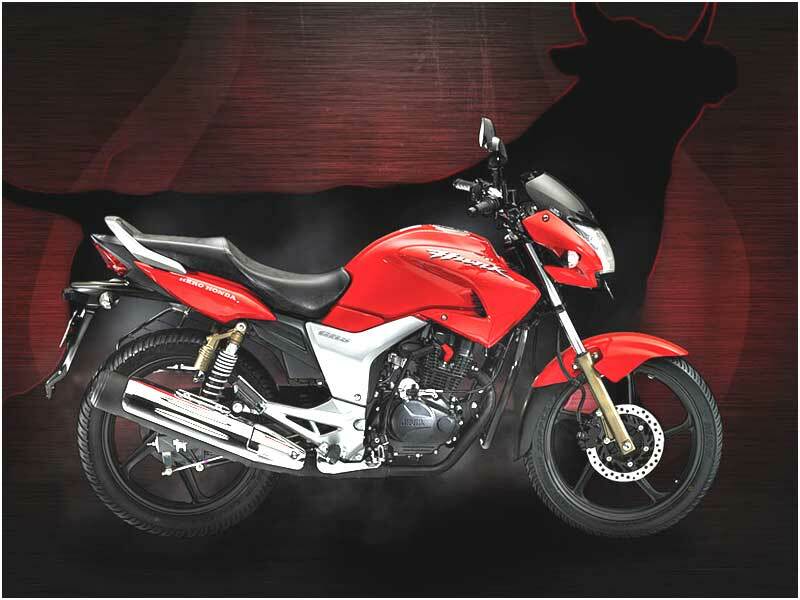 Available colours of Hero Honda Hunk are: Force Silver, Sports Red, Fighter Blue and Panther Black.